Do you dream of living big down under? Or perhaps vacationing with kangaroos and koalas? Australia is the stuff of dreams. Beautiful metropolitan cities, scuba diving on reefs with colorful fishes and going into the outback. This is where an amazing adventure awaits. 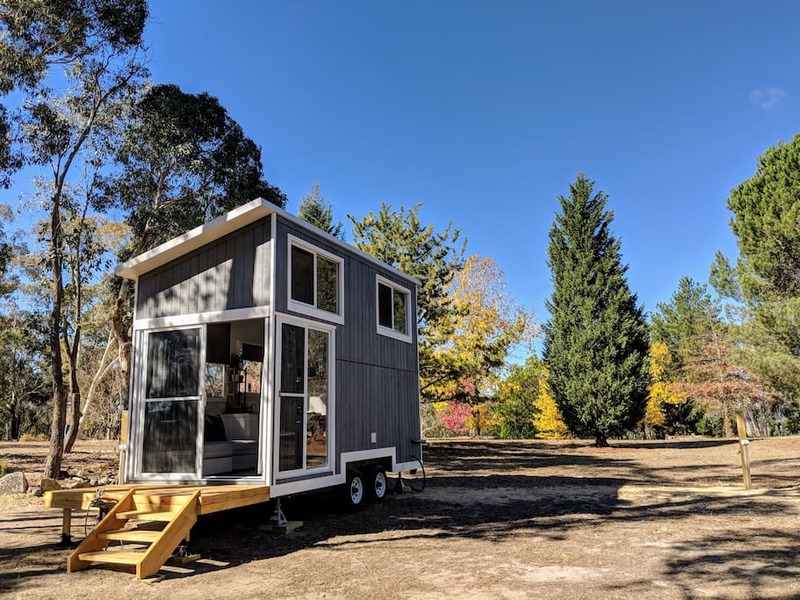 Get to know the big island by renting a tiny house and enjoying the beautiful countryside. Australia is one of the top destination places in the world – and for good reason. It is one of the most bio-diverse countries in the world with many ecological niches. 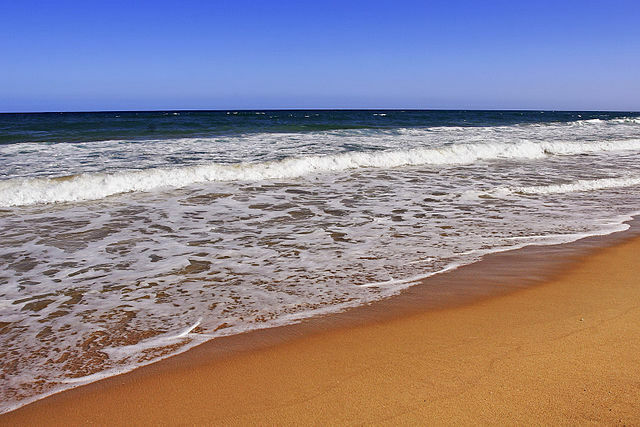 The ocean is a popular destination with beautiful beaches and rolling surf. You can enjoy scuba diving on the world famous Great Barrier Reef. Check out the annual whale shark migration. In southern Australia, you can view the stunning Southern Lights (Aurora Australis) as they illuminate the night sky with delightful shades of green, blue, purple and red. Geology is King in Australia with rock formations jutting out of the ground. Aboriginal Australians considered these many rock formations sacred and you will be filled with awe gazing upon them. Canopy is the perfect place to escape from the city. Located only one hour from Melbourne, this family farm beacons you to come get dirty! Enjoy being out on the farm where you can help with farm chores, visit the goats, pet chickens, turkeys, pigs, and sheep or spend the day fishing. Canopy has all the essentials for your vacation and features an outdoor grill. In addition, you can enjoy a leisurely evening on the patio. Canopy is close to Tallarook State Forrest and Mount Piper. There you can enjoy bush walking, trail bike riding, camping, and horse riding. Experience the tiny house movement at Sunshine Beach in Noosa Heads, Australia. Themed like retro Hawaiian boho surf this lovely rental features a kitchenette and sleeping loft. 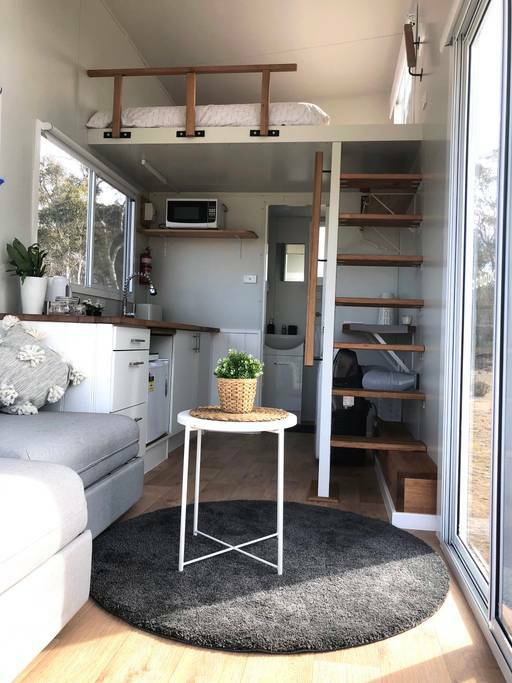 Located in Seven Hills, Tallarook at Sunrise Beach, Queensland. 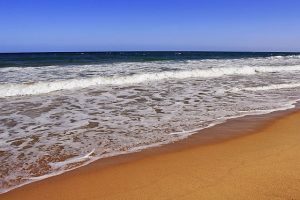 Sunrise Beach is a great place for swimming, kayaking and enjoying the sun. It is surrounded by Noosa National Park with hiking trails that lead through the rainforest, rocky shorelines, and groves of piccabeen palms. A variety of tropical birds and koalas are among your viewing pleasure. 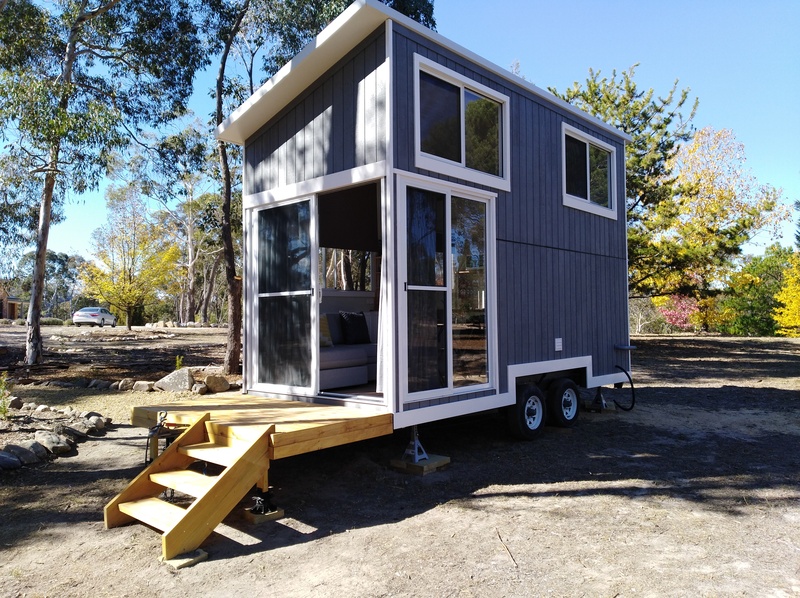 This tiny house is located in a park-like olive grove that is quiet and allows the perfect peaceful getaway. Unique to the tiny house experience is a forty-meter labyrinth that you may walk while meditating and finding your inner self. One queen size bed is perfect for couples and features an indoor fireplace, comfortable sitting area, and complete kitchenette. Nearby Bushland Nature Reserves is one of Australia’s prime bird watching locations. You may glimpse a Little Eagle, Speckled Warbler or a Varied Sittella. 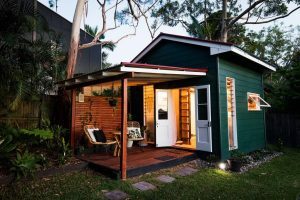 This environmentally friendly house with a wood fire heater, composting toilet, and solar panels. Plenty of room with a queen bed, single bed and sleeper sofa. Designed for families you can go say hello to the host’s goats, sheep, and cows. Do you want to experience nature? Mt Buller is only fifteen minutes away and offers hiking, skiing and biking trails. Weather getting you down, Mt Buller has fabulous indoor recreation as well. Visit the National Alpine Museum, check out the indoor climbing wall or learn archery. A great escape from the hectic city. 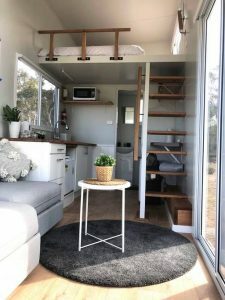 This tiny house has wonderful windows so that you can enjoy the breath taking scenery from every angle. Lay in bed and look at the stars or enjoy a cup of tea on the patio overlooking the pond. The cozy loft bedroom features a queen sized bed and a kitchen with all the essentials makes meal planning fun. Depending on the season there is both air conditioning and a fireplace for your comfort. Lots of outdoor fun awaits you with places to hike and a 1km mountain bike trail on the property. Located just five minutes from Lithgow near the Blue Mountains. The Blue Mountain National Park has great hiking opportunities including the Aboriginal Walkabout. Enjoy an exhilarating experience rock climbing, traveling on scenic railways or look down on everything from a glass-floored cable car. Do you love horses? 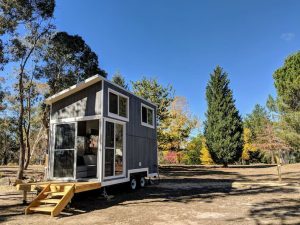 Then this is the tiny house vacation for you. The host farm has six gentle horses and miles of trails for you to enjoy with them. This is a family fun location with supervised activities for the children including games and kite flying. The farm features abundant wildlife including the platypus, an on-site café and abundant natural swimming areas. Braidwood in New South Wales has a compelling history and wonderful dining with a Slow Food Community. Gold was discovered here in 1851 and created a boom town. Learn all about it at the Braidwood Historical Society and Museum.